Flames shot out of the roof behind the nave of the cathedral as hundreds of people lined up bridges around the island that houses the cathedral, watching in shock as acrid smoke rose in plumes. 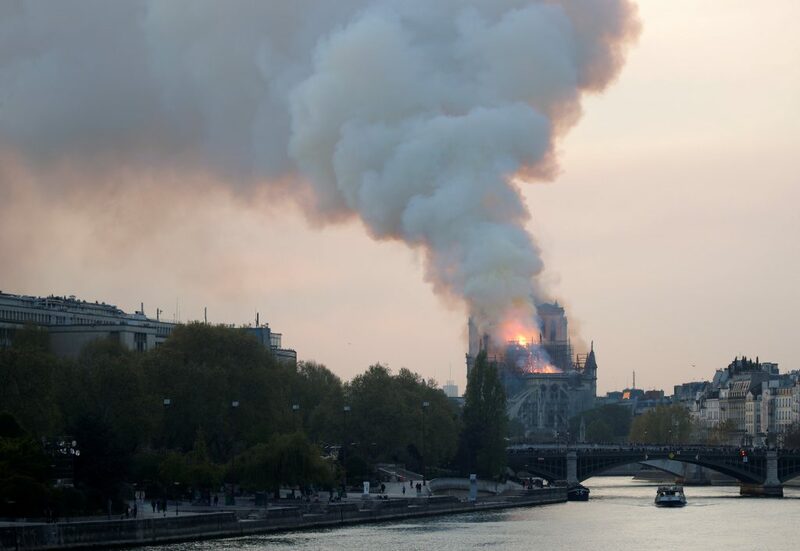 French President Emmanuel Macron postponed a speech to the nation because of the stunning blaze and was going to the cathedral himself. Built in the 12th and 13th centuries, Notre Dame is the most famous of the Gothic cathedrals of the Middle Ages. Situated on the Ile de la Cite, an island in the Seine, the cathedral’s architecture is famous for, among other things, its many gargoyles and its iconic flying buttresses.